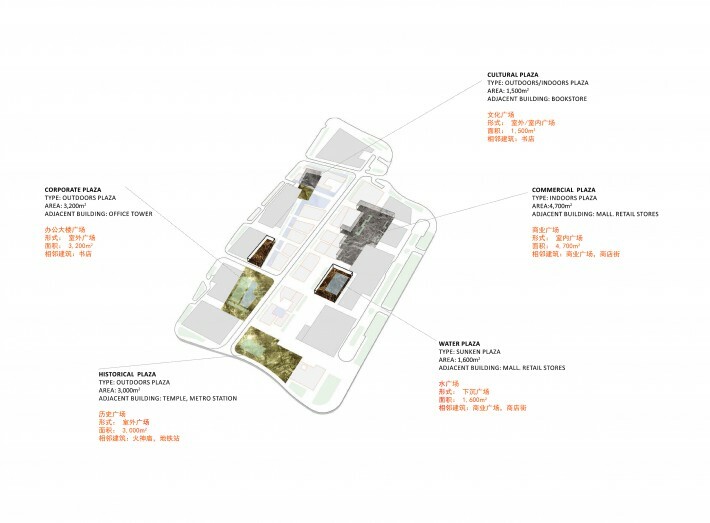 Located in the center of Shenzhen’s Nashan District, the Dachong Master Plan Project is the largest reconstruction of an urban village in the province of Guangdong, and one of Shenzhen’s five “New City” landmark projects. 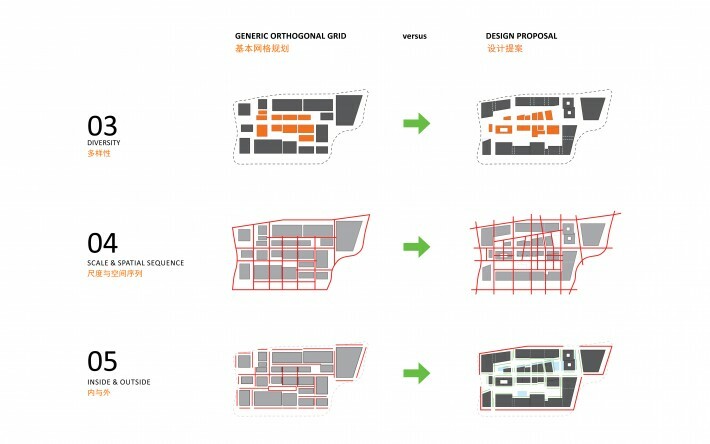 Studio Link-Arc was invited to produce a new master plan for the area, using an existing commercial master plan as a base. 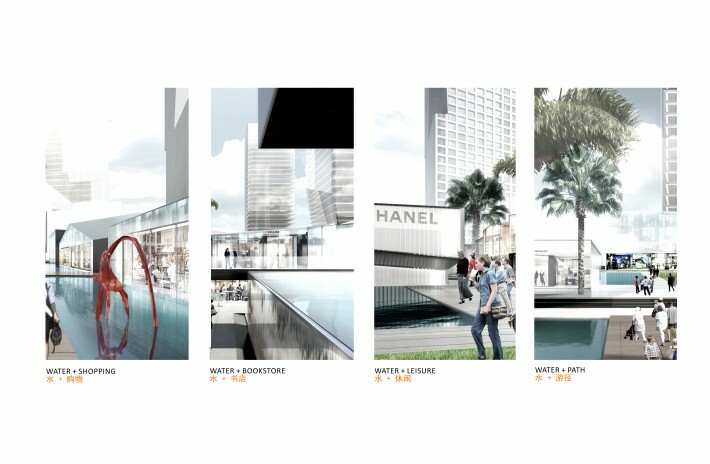 Link-Arc’s proposal creates a strong relationship to the site’s history by incorporating the existing street layout into the new master plan, preserving an historic temple on the site, and incorporating an existing lake into the new plan. 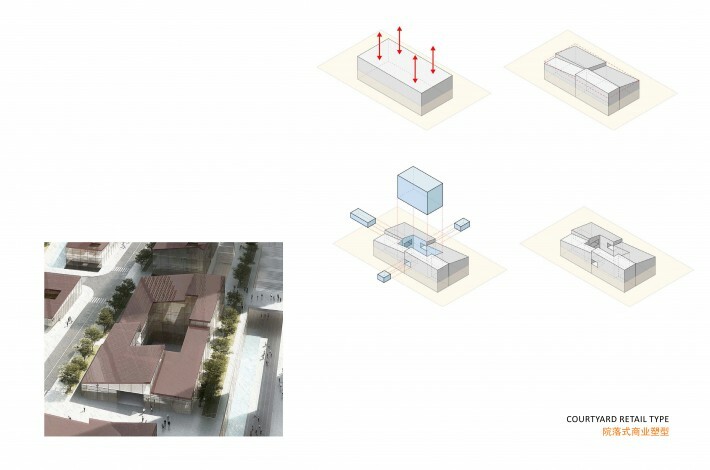 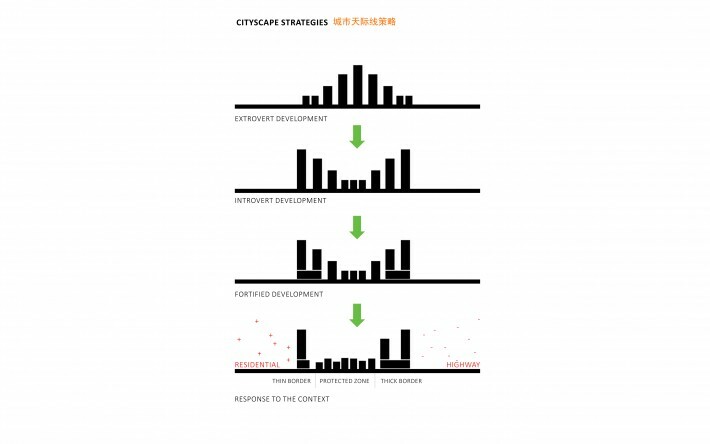 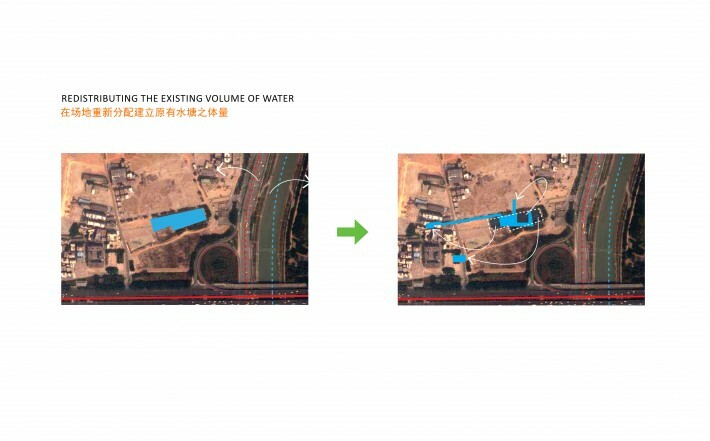 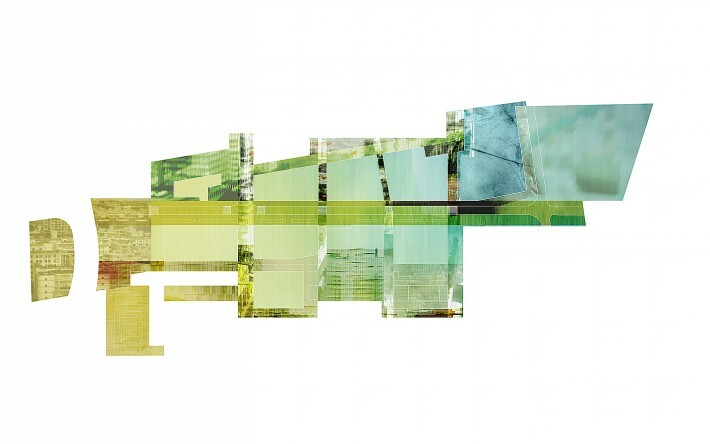 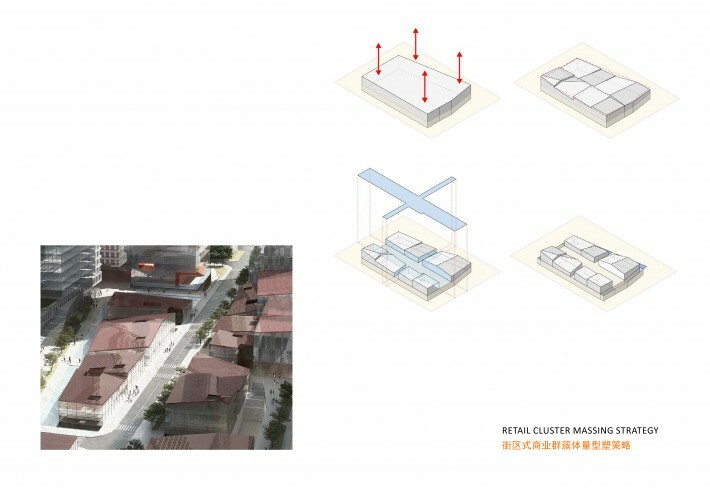 Link-Arc proposed two axes- a cultural axis and a commercial axis, both originating from the historic Dawang Temple, and applied distinct landscape strategies to each. 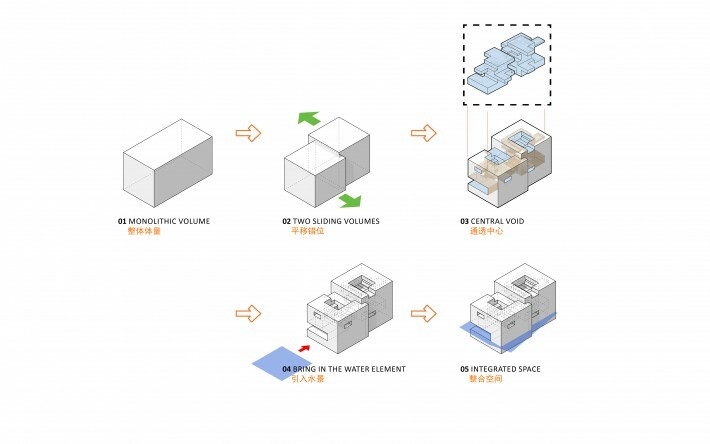 The relationship between these three elements anchors the site and gives it a unique character. 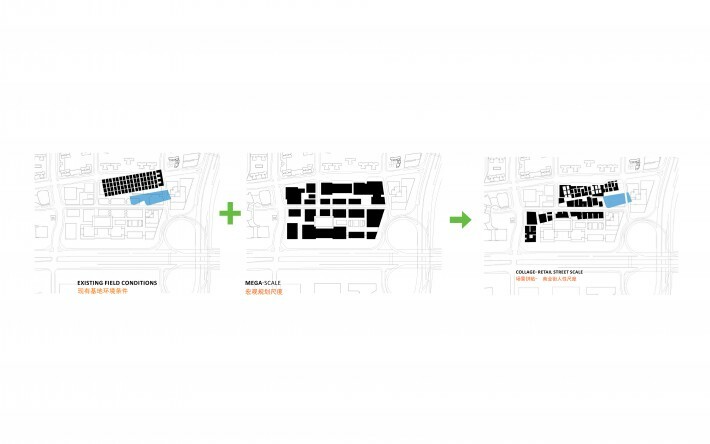 To add diversity to the master plan, Link-Arc took the existing commercial grid and developed it further by collaging a traditional city scale onto it. 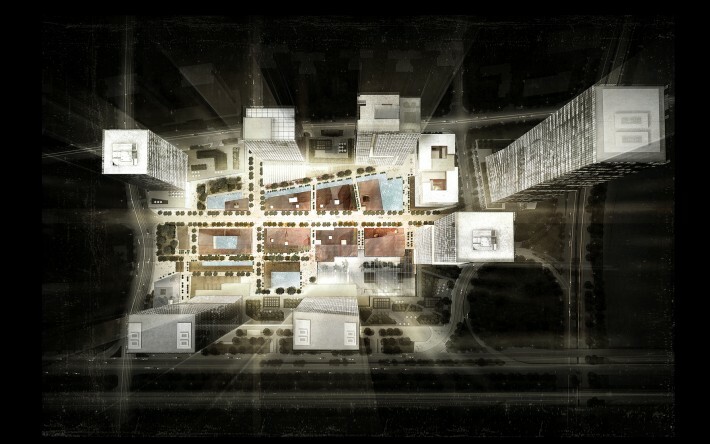 This resulted in the creation of a central public zone (“the crystal village”) defined by a walkable pedestrian scale and variety of new retail typologies. 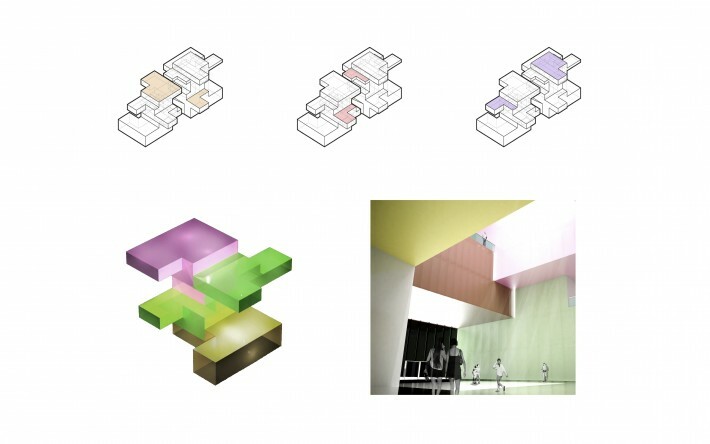 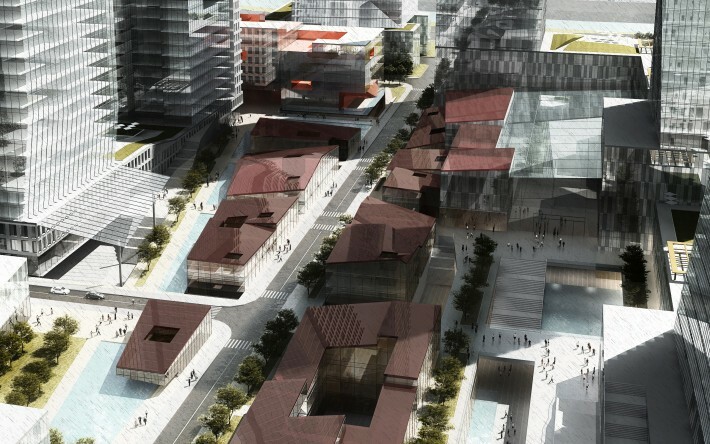 In order to add diversity to the urban spaces within the master plan, Studio Link-Arc proposed creating a variety of public spaces, including small pedestrian passages (promoting a contemporary micro-urbanism), multi-level public spaces, and a number of public plazas, each with its own unique character. 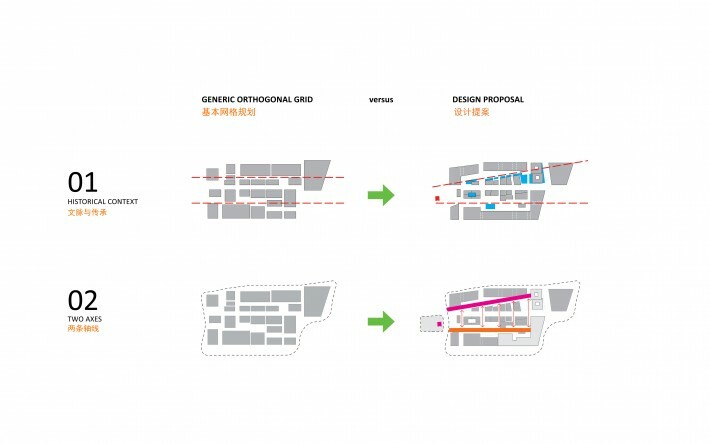 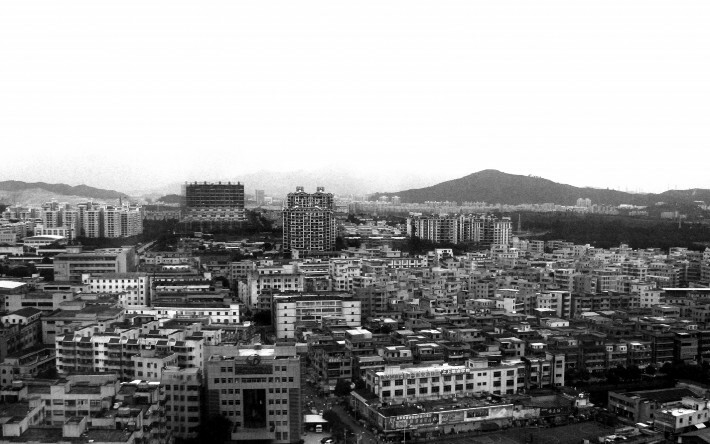 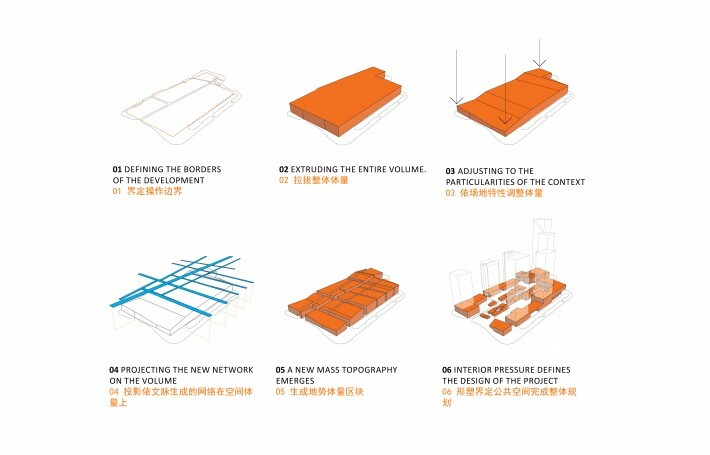 Responding to the large scale of surrounding area, Link-Arc proposed a strong commercial border, defined by large scale retail and commercial buildings, along the edges of the project site, allowing the master plan to properly interface with the large-scale architecture that defines Shenzhen. 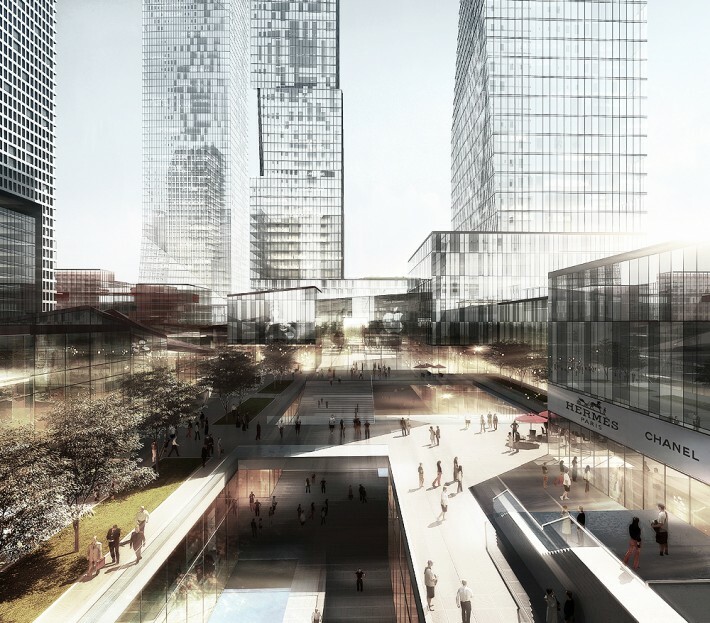 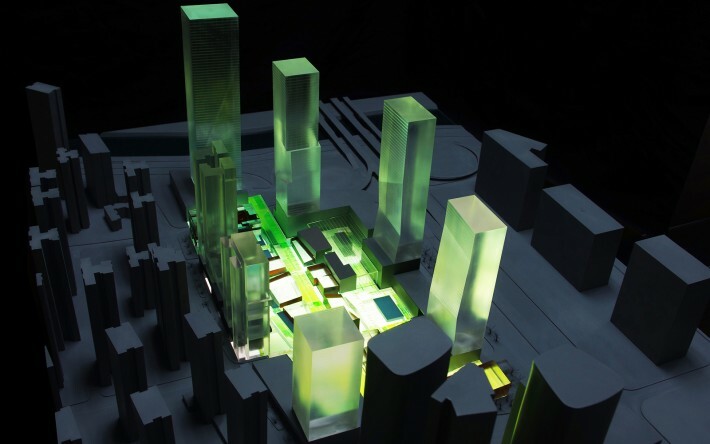 Within the site, this “hard edge” transitions seamlessly into the previously mentioned “crystal village”, creating rich urban space, strong commercial zones, and a unique new civic space for Shenzhen.